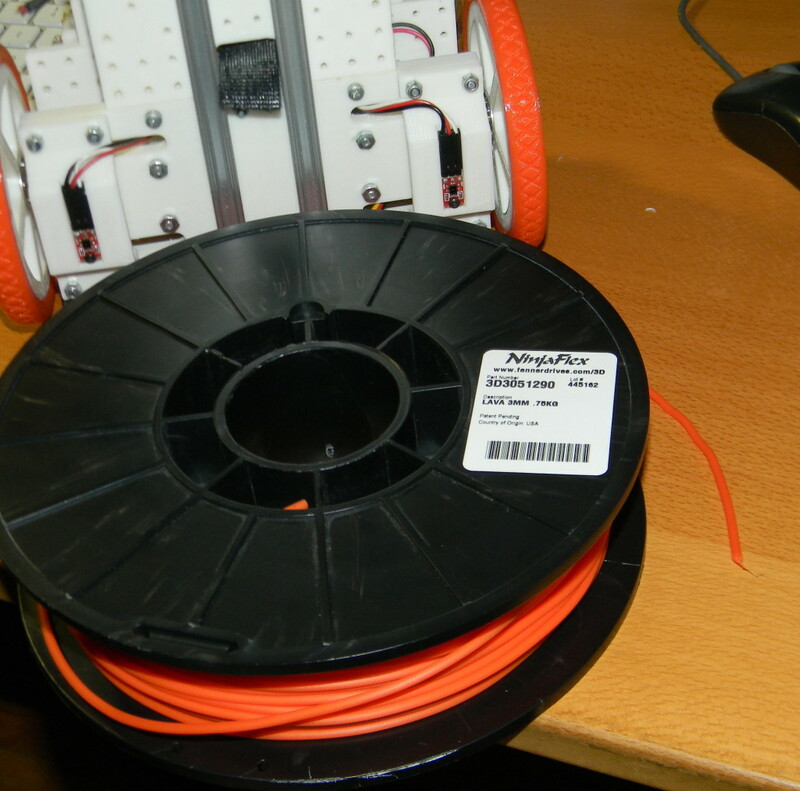 After having printed a lot with ABS and PLA, finally decided to get a roll of Ninjaflex filament for testing on my Prusa Version 1. I was expecting that given this filament’s flexible characteristics I would have to do many adjustments to the printing parameters however I was surprised at how easy it was to print almost perfectly since the first attempt. I had read that one of the main difficulties when printing Ninjaflex with a Wade’s type extruder was that the filament could bend easily when being pushed and get stuck in the empty gap between the Hobbed Bolt and the small PTFE Tubing of the J-Head. This problem is more common with the 1.75 mm filament. I have seen some youtube videos where people has resolved this issue by extending the PTFE tube (or Bowden tube) up as to shorten the empty space between it at the Hobbed bolt. I am using 3 (2.85) mm filament which is less susceptible of having the above issue, however I did encounter this problem twice when printing multiple parts in the bed at the same time. It appears that the excessive use of retracts, when printing multiple independent parts, causes the filament to weaken and bend to a point where it just gets stuck. That said, everything else worked perfectly. This material prints very well: it adheres to the glass much better than PLA, layers fuse together nicely, finish is very smooth and shinny and the parts are incredible strong. For testing I printed a set of all-terrain tires for my 3d Printed Multi Purpose robot. The caster wheel tire was printed with 50% infill. The main tires were printed with 30% infill. 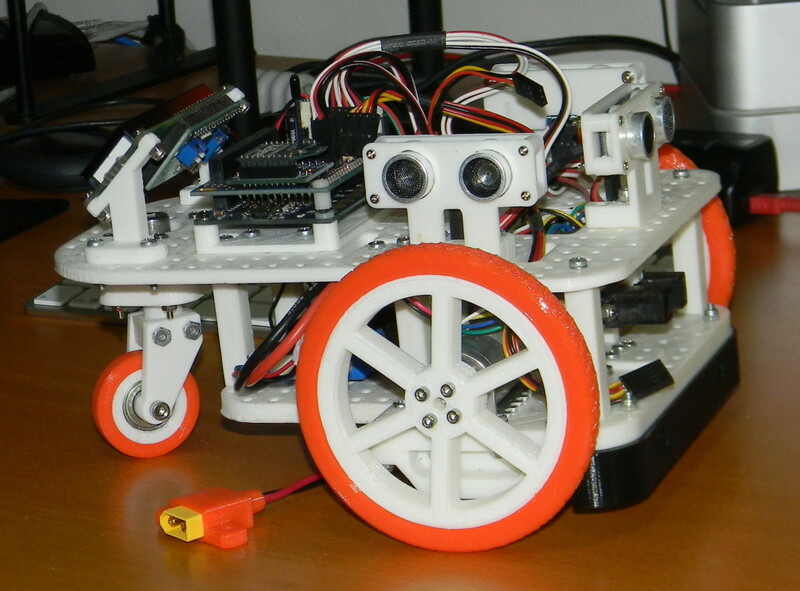 The robot with its new set of tires. 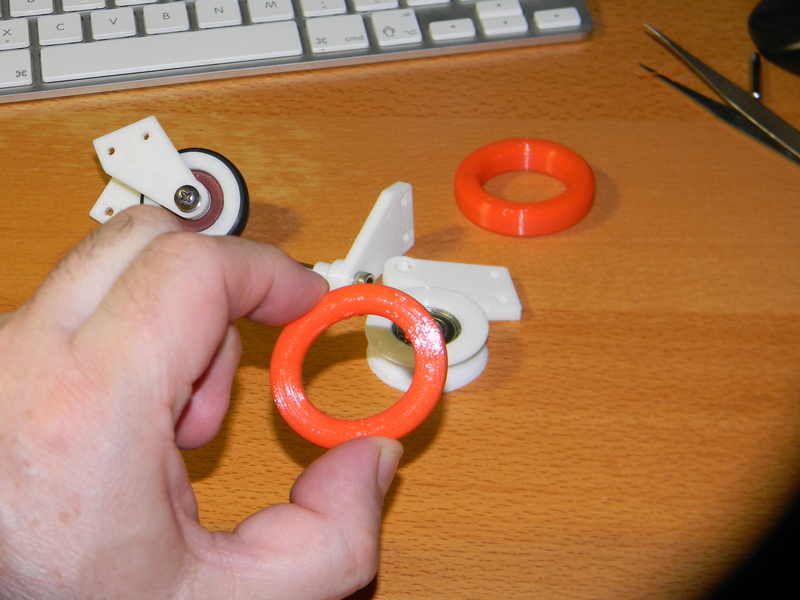 Ninjaflex is a great product and being able to print flexible parts greatly expands the capabilities of any 3d Printer.